Looking for any of 5 cheap oil stocks under $5? Then you’ve come to the right place. As oil prices are expected to stabilize in the near term, oil stocks should become more attractive investments. When it comes to cheap oil stocks, their appreciation should be even more rewarding, although they carry more underlying risk and require a more detailed analysis to fully understand. There are many oil stocks that an investor can buy and the general advice is to stick to the big names like Exxon Mobil Corporation (NYSE:XOM) or BP plc (ADR) (NYSE:BP). And it makes sense, because these are well-established companies with strong fundamentals and long dividend-paying histories, which makes them good additions to a portfolio. However, while including them in a retirement portfolio is a good idea, when less cash is available to invest and a higher reward is desired over the short- to medium-run, one might consider investing in riskier stocks in exchange for higher potential returns. The question then becomes, how to narrow down the list of stocks up for consideration so that you can focus on those that deserve the most attention? One approach is to look at the stocks that enjoy support from large investors like hedge funds. This is what we do at Insider Monkey. Our database includes almost 700 hedge funds and other institutional investors and every quarter we analyze their 13F filings to monitor their collective sentiment towards thousands of stocks. We select some of those stocks as part of our investment strategy and share them with our premium subscribers (see more details). In addition, we use the data to compile lists of best stocks to invest in based on the hedge fund sentiment towards them. Let’s get back to oil stocks. Generally speaking, energy is one of the best sectors to invest in, given that it is the most valuable market segment and energy demand is expected to grow considerably, driven by demand from China and India. 2017 might be a particularly good year to consider investing in oil stocks, as experts estimate that oil prices will stabilize this year and remain stable for the long-run. Goldman Sachs sees oil prices at around $50 per barrel, with fluctuations within 10-20%. With OPEC having agreed last year to cut production, the oversupply is expected to by cut by almost one-half this year, which would lead to more stabilization of prices. In this way, we can anticipate a more balanced market for the remainder of this year and beyond, which eliminates some of the uncertainty around oil companies. And if the oil stockpile is reduced at a faster rate than anticipated, prices could go even higher. There are many oil stocks to invest in. For those that have more cash at their disposal, this list of the 11 best oil company stocks can provide some great ideas. 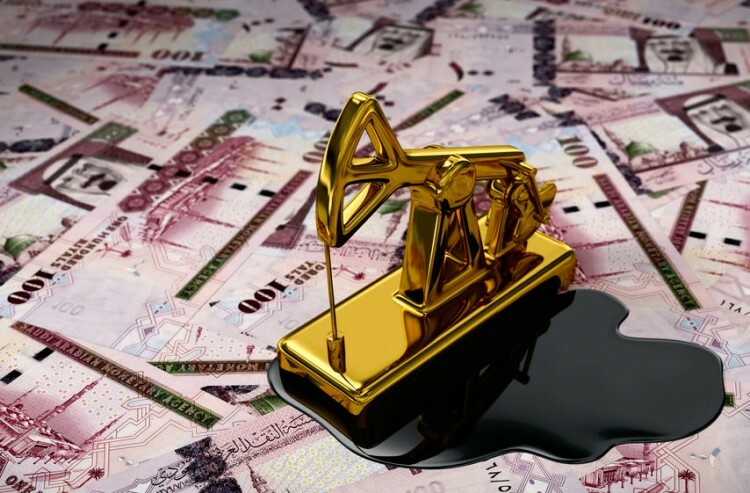 For those who are not afraid of some risk and are looking for faster and higher returns, we have compiled a list of 5 cheap oil stocks under $5. The companies included in the list had the greatest number of investors long their shares as of the end of the first quarter, from among those hedge funds within our database. Check out the list beginning on the next page.